Fifteen teams who had finished runners up in their local winter leagues gathered at Garbolino Lindholme Lakes in South Yorkshire to fish for the Winter League Cup on 4th July 2015. There were 3 sections on the popular Bonsai, 3 on Laurels and one each on Strip and Loco. There was a certain excitement as anglers waited for the draw, with club anglers rubbing shoulders with World Champions, and hoping their club could shake if not topple the giants of Barnsley and Dorking. When the match was under way, anglers on Bonsai were soon catching carp by pinging pellet on long pole, then switching to the bomb as fish were mopping up those pellets not taken on the drop. 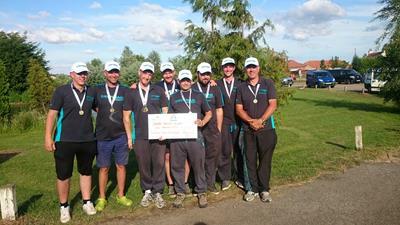 It was clear that the battle was on between Drennan Barnsley Blacks and Daiwa Dorking. Alan Scotthorne (Barnsley) A section peg 31 on Bonsai seemed neck and neck with Darren Davies (Dorking) peg 27 and Tim Nash (Browning Hotrods) between them on peg 29 joining in. B section was closer, with several anglers in the picture, going fish for fish. Matt Godfrey was certainly catching on C section Bonsai peg 85 for Barnsley, as was James Dent on D section Willows 51. It was much tighter on E section Laurels where sport was a little slow, but Lee Harrison on F section Laurels 57, fishing 16 meters on the pole tight across with worm was catching good numbers of F1’s and was in a scrap for the section with Dorking’s Paul Holland on peg 51, Martyn Howard (Daiwa Gordon League) 53 and Colin Oakman (Browning Hotrods) on 55. In G section (Strip) Lee Kerry in the corner on peg 24, was leading the section for Barnsley, fishing 16 metres up and down on pellet to catch F1’s and some bigger carp. On Loco (H section), Des Shipp was netting fish on peg 40, but Damian Green (Team Guru) on 38 was thought to be ahead of him. As the final whistle blew it was clear that Drennan Barnsley Blacks and Daiwa Dorking had done well in most sections, as the results later proved. 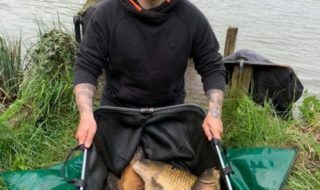 Lee Kerry (Drennan Barnsley Blacks) won section G on Strip and took the highest weight of the day, netting 25 F1’s and 30 carp to 5 Kg and a total of 67 kilo 680. 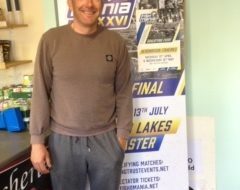 Johnny Maddison (Mosella Quaker) topped C section with 53 kilo 200 for second on the day, pushing Matt Godfrey (Drennan Barnsley Blacks) into second in section with 40 kilo 260. Trev Robinson (Maver Midlands) enjoyed his day on Bonsai peg 44 to win B section and score third best individual weight with 52 kilo 780, with Steve Chester (Mosella UK) on 34 close behind with 50 kilo 780. Alan Scotthorne (Drennan Barnsley Blacks) finished clear winner on A section with fifth highest weight overall of 49 kilo 660. 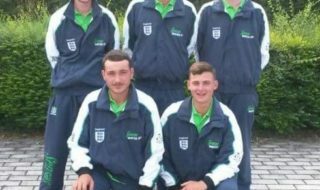 James Dent and Lee Harrison both won their sections on Laurels for Barnsley, with Mark Goddard winning the other section here to pull one back for Dorking. The final points tally showed that the 4 section wins had proved crucial, and Drennan Barnsley Blacks were the winners of the Angling Trust Winter League Cup for 2015. Daiwa Dorking were only 2 points behind in second, and in third place were Mosella Quakers, winners in 2013 on the Trent, just one point ahead of Maver Midlands in fourth place. A good days fishing, fished competitively but in good sprit (despite fishery owner Neil Grantham constantly teasing both Barnsley and Dorking) on a well-managed and picturesque fishery stocked with quality fish. Many thanks to Neil and his staff, and we all look forward to the start of the next round of Winter League matches around the country.